Now, as for the book. I really enjoyed reading about the magical human kind of powers again. After all those werewolves and vampires, it’s nice to read about the grandma with a coven hiding in her basement. Who wouldn’t want such a grandma? 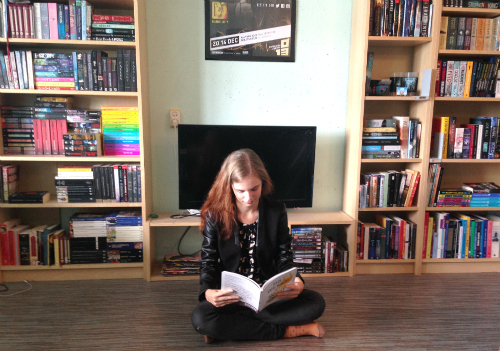 The Trouble With Spells is a very romance heavy book. Almost suffocatingly so. They bind themselves together with magic, like a magical engagement, making it physically hurt to be apart from each other. It was the complete opposite of the usual romantic plot line of a young-adult novel. There is no angsty “does he really like me” rambling, but unconditional love. Maybe it’s cynical me speaking, but I thought it to be a tiny bit scary. It’s like marrying on your sixteenth. It was well written though, and their love for each other, while a bit creepy, was very believable. You can understand why they care for each other, and this is one of those things that’s really hard to achieve in a book. One of the best things about this book was the magic part. I liked the descriptions about the rituals and the spells. Even though this book has its foundation in an old concept, it doesn’t feel corny at all. There were some really cool new abilities added that made me very excited. I liked both the main characters Portia and Vance a lot. They both have their flaws, but they only get more likeable because of them. I think Vance will make a lot of women all over the world swoon and flutter! As for secondary characters, I especially loved Portia’s grandmother. A spell casting granny. That’s so awesome. If you’re looking for a good paranormal romance young-adult that deals with a one true love, The Trouble With Spells is definitely a book for you. Portia Mullins had always lived the life of a normal teenager, up until her sixteenth birthday. She is then informed by her grandma that she is actually a witch who is a descendant from a long line of witches and warlocks. After overcoming her disbelief she finds that being a member of the coven comes with one great perk in the form of the school’s handsome bad boy, Vance Mangum. Vance and Portia have an immediate connection as a budding romance begins, only to be threatened by turbulent skies on the horizon as Vance’s checkered past rears its ugly head to haunt them. Portia is forced to use her untried powers in defense of everything she loves in a desperate attempt to hold on to the one thing that really matters in her life. 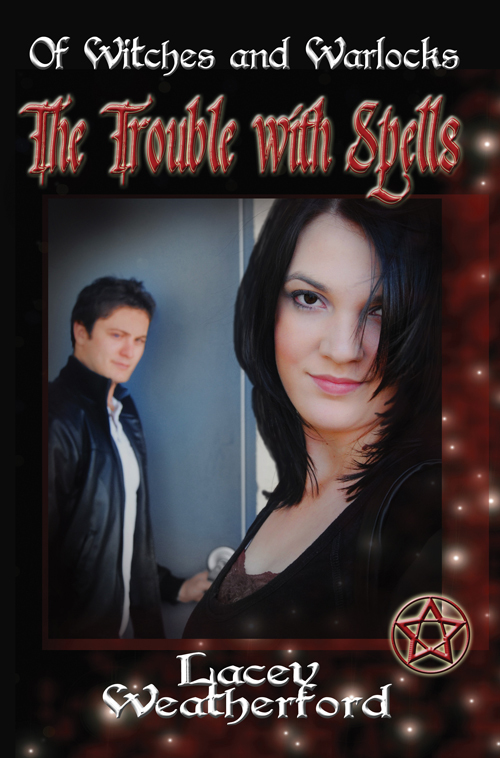 The Trouble With Spells is part of a blog tour hosted by The Bookish Snob Promotions.